Are Springer Spaniels Good Hunting Dogs? Home » Spaniels » Springer Spaniel » Are Springer Spaniels Good Hunting Dogs? Although the Springer Spaniel is relatively short in stature, has a shaggy, unkempt coat and are not the smartest of dogs, they are widely renowned as excellent hunting dogs. 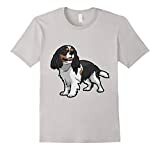 The Springer Spaniel has an admirable nose and scent of smell, with the Springer Spaniel being used as a hunting or ‘gundog’ for many centuries. English Springer Spaniels have bbeen referenced in literature to this effect for centuries. Springer Spaniels’ hunting ability really shines when it comes to birds – it is what they are best at hunting – and they are capable of locating and hunting down birds hiding away in dense cover. It is a breed of dog with a seemingly unsatisfiable desire for hunting down prey and it has gathered much praise among hunters. There is no serious hunter in the land whom does not have this dog by their side. Although most Springer Spaniels will perform their duties and purpose – to locate birds – there are variances in the method, style and other traits throughout the different breeds. The classic breed of Spaniel, the English Springer Spaniel is the go-to dog for first-time hunters. They are the main choice for pheasant hunters because of their incredibly sensitive nose and willingness to get stuck in. 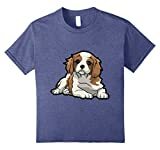 This breed is a smaller relative of the English Springer Spaniel, the English Cocker Spaniel is a lot more energetic and constantly needs to be working towards something. This breed of dog is also slightly stronger, and they have more of an inherent willingness to hunt and dive straight into the dense shrubbery. With a larger prowess for hunting, the American Cocker Spaniel is the smallest sporting dog breed recognised by the American Kennel Club. Working in different ways to their English counterparts, the American Cocker Spaniel are more thorough than their larger English cousins and have an endless affinity for hunting. Widely recognised as a versatile hunter, the English Springer Spaniel is used in all types of hunting, from waterfowl to highland game and everything in between, this breed of dog is a proven companion for hunters nationwide. Any English Springer Spaniel which has undertaken basic obedience training will be able to hunt properly and help you get the results you need. Although they are natural hunters, the English Springer Spaniel should be trained to an extent to further encourage this natural instinct and spur on the desire to hunt. If trained properly, the English Springer Spaniel can quarter fields efficiently and stay within gun range, constantly checking back to ensure it is maintaining a proper distance from you. The English Springer Spaniel’s hunting habit means you can quietly approach prey, with you being able to properly observe the field ahead as the dog goes forth to methodically hunt down the prey. Not only has the English Springer Spaniel long proven itself to be a major adversary on land, it has also become very popular for hunting waterfowl. Most English Springer Spaniels will jump at the chance to dive in the water and go for a swim. As with any dog taking to water, proper training here is key and you should train your dog in a non-hunting environment before taking to the water in pursuit of waterfowl. With proper induction to water, the English Springer Spaniel can easily rival other water hunters (such as Retrievers) and can naturally take to large bodies of water if provided with a proper induction to it. Training an English Springer Spaniel for hunting ducks and other waterfowl is not much different to the techniques used in teaching Retrievers the same, however, English Springer Spaniels are typically taught to hunt upland game beforehand. It is recommended that you teach an English Springer Spaniel how to properly hunt on land before taking them to water, but it is entirely to your discretion. After a good land-based hunting season, you should be able to confidently take your spaniel to water. By teaching an English Springer Spaniel to hunt on land first, you can help fine-tune their senses and teach some mild aggression, and overall drive for hunting. When the second or third hunting season of your dogs’ live arrives, they will have matured significantly and be ready to take to the water. The type of training you provide will depend on what type of water hunting you will be carrying out. For instance, there is no point training your English Springer Spaniel how to disembark and re-embark a boat if you are not going to be using a boat during the hunt. One of the earliest things you should be doing when teaching an English Springer Spaniel to hunt waterfowl is to teach it to stay put until the ducks – or other waterfowl – are down under the water and then go and retrieve them on command. Your English Springer Spaniel should be taught in a way where he will only go after and retrieve the ducks when instructed to do so. Many English Springer Spaniels will set off as soon as the gun is fired, and this is something you need to condition out of one which has grown accustomed to land-based hunting. If you are patient and take your time to properly train your dog, though, English Springer Spaniels make excellent hunting companions for the water and can even rival other dogs recognised for their water-based hunting abilities, such as Retrievers. So far as hunting goes, spaniels of any variant (but especially English Springer Spaniels) make fantastic hunting dogs and have been recognised as such for centuries gone by. Thanks in part to their heightened sense of smell, they make fantastic companions for land or water-based game hunting. Although they have natural hunting instincts, it does not hurt to provide some training and guidance, and this will be necessary should you want yours to take to water.